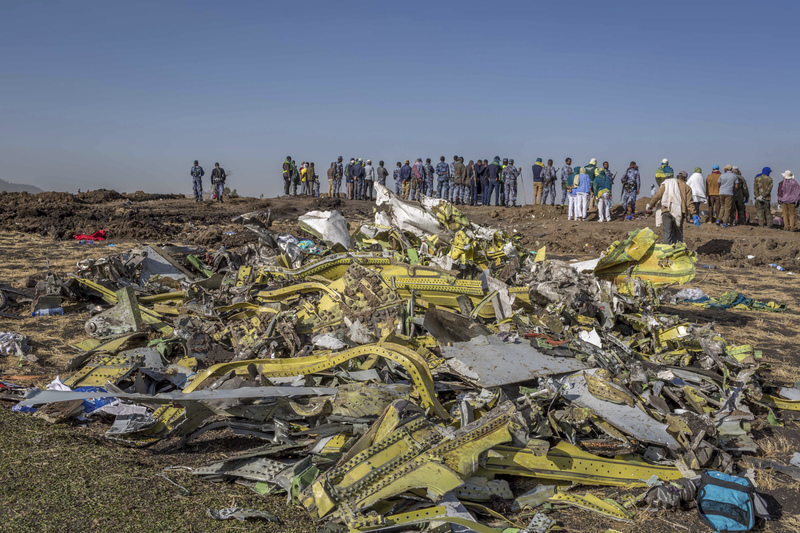 WASHINGTON/DALLAS - New details in the probe into the Ethiopian 737 jetliner crash indicate the pilots disabled a safety system driving down the nose yet still crashed, deepening the mystery of what happened. Ethiopian authorities were preparing to release a preliminary report on the accident Thursday. 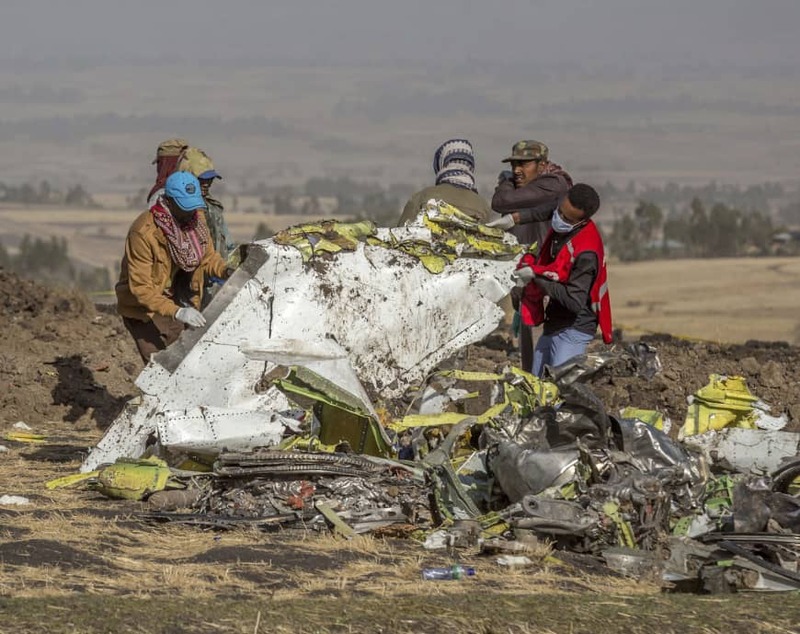 The flight crew on the Ethiopian Airlines flight followed a protocol set by plane-maker Boeing to manually disable an automated anti-stall system as they tried to save the 737 Max jet, a person familiar with the situation said. The Maneuvering Characteristics Augmentation System engaged numerous times during the short flight, the person said. 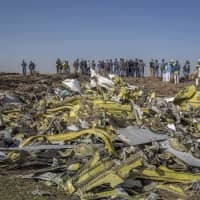 MCAS, which is programmed to push down a plane’s nose to help prevent stalls, is a focus of concern by regulators and lawmakers after 346 people died in crashes of Boeing’s newest version of the 737 flown by Ethiopian and Lion Air less than five months apart. The Wall Street Journal reported earlier that the pilots on the deadly flight initially followed the emergency procedures laid out by Boeing, cutting power to electric motors driven by the automated system. The newspaper said pilots turned electric power back on after cranking a manual wheel that turned the same movable surfaces on the plane’s tail that MCAS had affected. Boeing is working on a redesigned software package designed to limit MCAS’s movements and make it more reliable so that it won’t cause accidents in the future. The company needs several more weeks to finish, and the process is subject to approval by U.S. regulators. Boeing recommended against jumping to conclusions before the Ethiopian report is published. “We urge caution against speculating and drawing conclusions on the findings prior to the release of the flight data and the preliminary report,” it said Wednesday. The data leaking out from the investigation raise many questions and still don’t provide a clear sense of why the plane crashed, said Jeffrey Guzzetti, the former director of the U.S. Federal Aviation Administration’s Accident Investigation Division. Following part of the procedure by turning off power to the motor driving the plane’s trim system makes sense, Guzzetti said. But turning it back on — which wasn’t recommended by Boeing and aviation regulators — wasn’t appropriate, he said. “It just seems to me that the crew should have kept the thing off,” he said. 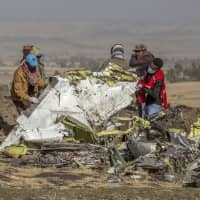 At the same time, the fact that the system flummoxed two Lion Air crews in Indonesia in October, including one that crashed shortly after takeoff, and possibly the Ethiopian pilots suggests that investigators will need to review whether the processes were too complex, he said. Once the Ethiopian pilots disengaged the trim system — cutting power to its motor and preventing MCAS from acting — they would have had to adjust the trim manually using wheels on either side of the cockpit. Trim moves the horizontal wing at the rear of the plane, adjusting how high or low the nose is pointed.